Flat panel TVs now have a reason to celebrate, with an incredible sound system that doesn't clutter the wall with a bunch of speakers. 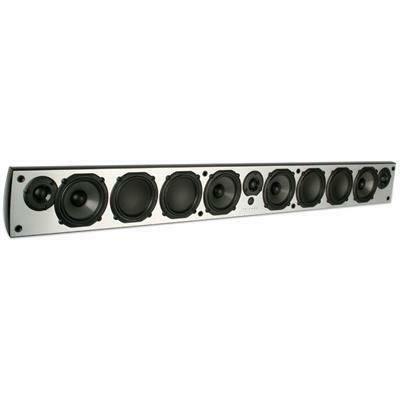 At only 2.75" deep the ES-300-SNDBAR-40-BLK not only looks great, but sounds amazing too! 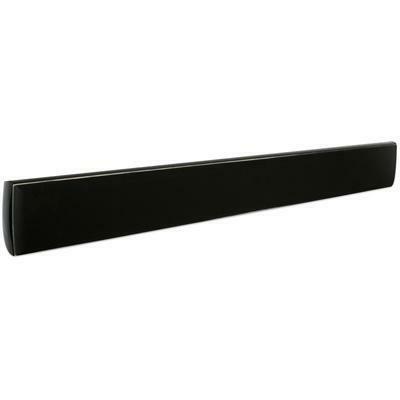 This single soundbar is actually three independent speakers in one - consisting of left, center, and right channels. It's perfect for living room and bedroom applications with TVs 46" and larger. 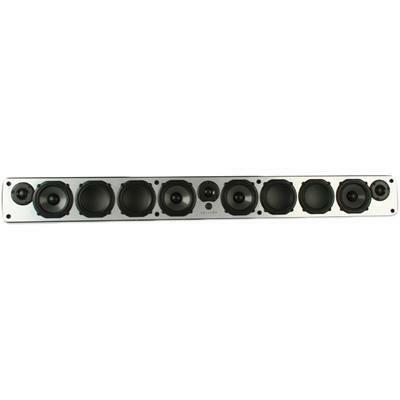 Additional Information A perfect balance of aesthetics and acoustical performance results in a thin profile ideal for today’s slim-model TV’s and mounts, with an aluminum cabinet that is stronger than wood or plastic and offers a streamlined look with a slim 2.75" depth; A discreet knock-out behind the grille makes this speaker compatible with any IR control system, without the unsightly look of stick-on receivers; Whether mounting directly on a wall, to the TV mount, or on top of a console, the 300 Series Soundbar offers a wall-mount bracket, universal TV mounting bracket, and a kickstand for on-cabinet placement.